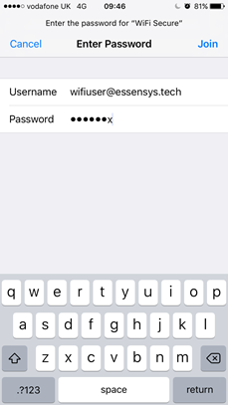 To access Wi-Fi Secure, you and your members will need to be added as users to Connect, and then identified as a Wi-Fi user. They will then be able to use the username and password provided to connect to the building's secure Wi-Fi network. 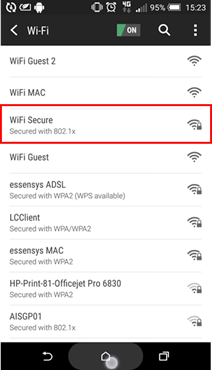 This guide explains how you can connect to Wi-Fi Secure. A guide for your members is also available on our Member Knowledge Base. In order to connect, you will need to be added to Connect and given access to Wi-Fi. You can see a guide to do this here. An email similar to the one shown below will then be sent. If you cannot see it, check your junk folder to make sure it hasn't been sent there. You will then need to connect your device to the wireless network Wi-Fi Secure. You will be prompted for a username and password. Enter the details provided in the email. Once you have logged on to that device you should not need to enter details again to access the Wi-Fi. Some devices may ask you to install a certificate to allow access to the Wi-Fi. This is due to the highly secure nature of the solution and so the certificate will need to be accepted before the device can connect. See below for more information on how to connect on your device. 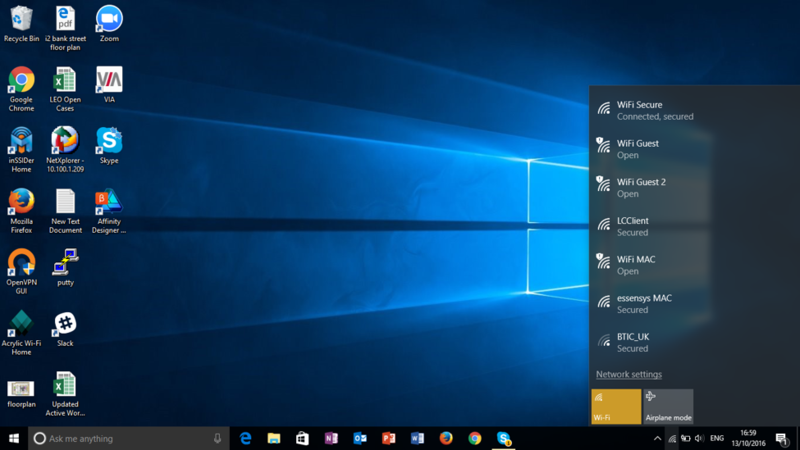 If your device is using a Windows Operating System that is older then Windows 10, you will need to download our Wi-Fi configuration tool and run it on your machine before you can connect. A link to this will be included in your invitation email, or you can access it here. This tool is a .exe file which creates a wireless profile on your PC with the necessary settings required for Wi-Fi Secure to work. No other changes are made and no other software is installed. 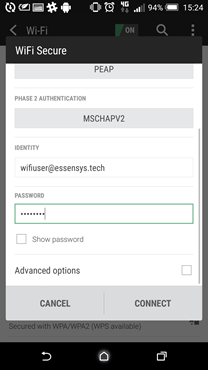 Wi-Fi Secure uses 802.1x authentication (WPA2 Enterprise) so it's not a 'normal' Wi-Fi network. If you don't want to run the .exe, or are unable to due to security/permission reasons, please see this article which will walk you through inputting the settings manually. You may need help from your local IT administrator to complete this. Once you have run the file you can connect to WiFi secure and enter your username and password as provided in the email above. 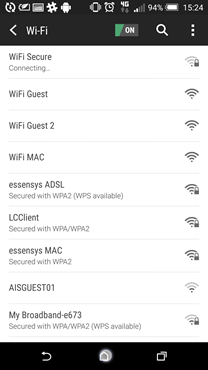 Here is a detailed guide to connecting to the Wifi Secure network across different devices. Select WiFi Secure from the list of available networks. Once this has been selected, you will be prompted to enter their username and password. prompted, use the username and password given in the email to log on. Once you have logged on to that device you should not need to enter details again to access the WiFi. Some devices may ask you to install a certificate to allow access to the Wi-Fi. 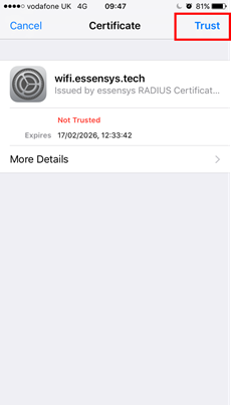 This is due to the highly secure nature of the solution and so the certificate will need to be accepted before the device can connect. 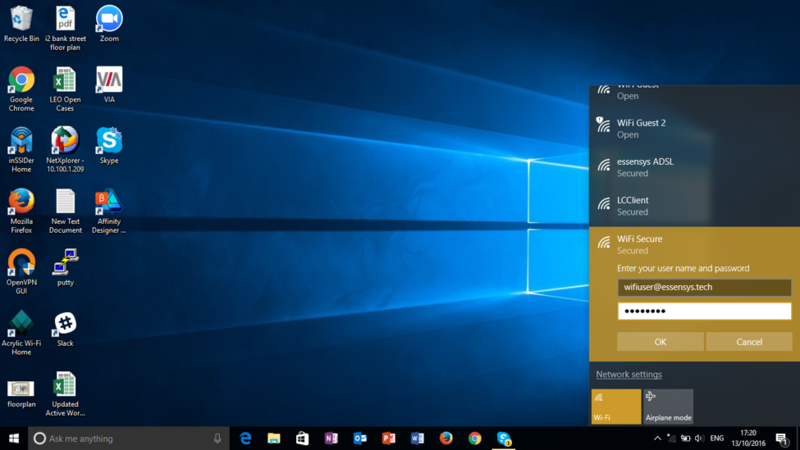 Open your network settings by clicking on the wifi icon on the bottom right hand side of your desktop. Once complete, you will connect to the WiFi Secure network. If this doesn't work please follow the steps outlined in the Windows Manual Setup. If you use any Windows OS older than Windows 10, you will need to download our WiFi configuration tool and run it on your machine before you can connect (see above). The link to this file would can be found in the email you were sent with your username credentials, or here. Once you have run the file, you can connect to WiFi secure by clicking on the network icon on your desktop and entering your username and password. The chrome OS does not automatically setup the Wi-Fi Secure connection in all cases and needs to be manually configured, these instructions apply to the new Pixel phone and Chromebooks that are running the pre-installed chrome OS. You will need the sign-up Email we sent to you to complete this, if you do not have this then ask centre staff to resend. 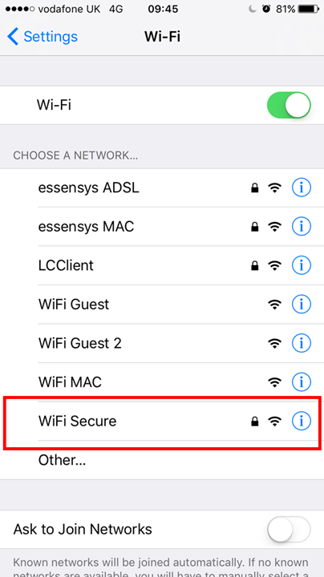 Begin by connecting to the WiFi Secure network as with other devices. You will be presented with a setup menu where you will be asked for various details relating to the setup, if you do not get this far then restart the device and try again then raise with centre staff to investigate the wireless before continuing. All other details can be left as default, you should now be able to click "connect" and connect to the network, please check the details and re-enter password then raise with centre staff if further issues occur. Once selected you will then be prompted to enter their username and password as provided in the email above. 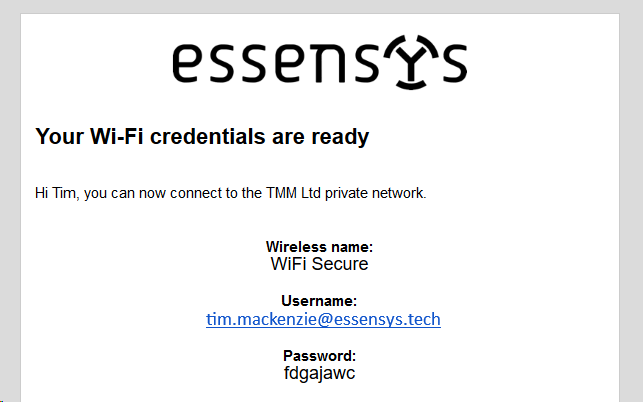 Once the credentials have been added, click connect and you will be connected to the WiFi secure network.